Greetings! The holiday season is upon us and for those who have lost a loved one, it is not an easy time of year. For those grieving, what used to be a joyous, festive and happy time is now extremely straining and it is very difficult to get into the “mood” of Christmas. At Bell Mortuary, we are very aware of the pain and sadness the holiday season can bring to those who have lost a loved one. The void is great. We invite you to our Christmas Tree of Remembrance Service & Open House. This service is designed for grievers to remember their loved ones in a special way. We ask that you bring an ornament with your loved ones name and dates to place on our tree. In the past we have had many creative ornaments; homemade, boughten, and some have been in the families for years. After the service, those who would like to take their ornament home may do so or they may be left until after Christmas. 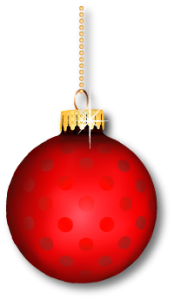 Any ornaments not picked up after Christmas will be stored with the other ornaments and placed on the tree next year. This has become a special night for us and we hope that you will be able to attend. If you have a conflict and are not able to attend, please feel free to bring an ornament in and we will place it on the tree with all the special people we are remembering. We hope to see you and your family at this very special event Thursday, December 6, from 5:00 p.m. to 6:00 p.m. at our chapel located at 701 2nd Ave S. in Glasgow, Montana.